Mr Stunning successfully defends his crown in the G1 LONGINES Hong Kong Sprint. 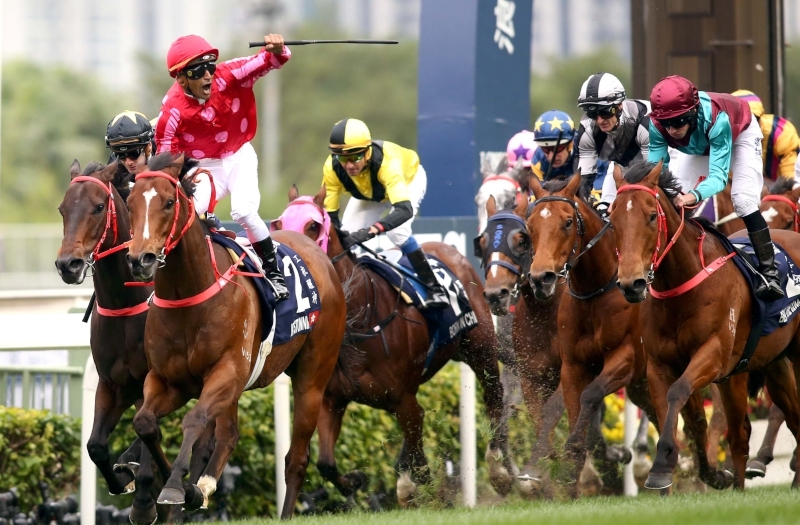 In a remarkable repeat of the 2017 edition, Mr Stunning not only again won the G1 LONGINES Hong Kong Sprint (1200m) but also secured the win at the expense of the same horse in a landmark success for his trainer and jockey. However the similarities do not extend beyond the deja vu exacta of Mr Stunning and D B Pin as the winner was, last year, trained by John Size but is now in the hands of his one-time disciple Frankie Lor who was able to claim his first Group 1 win. 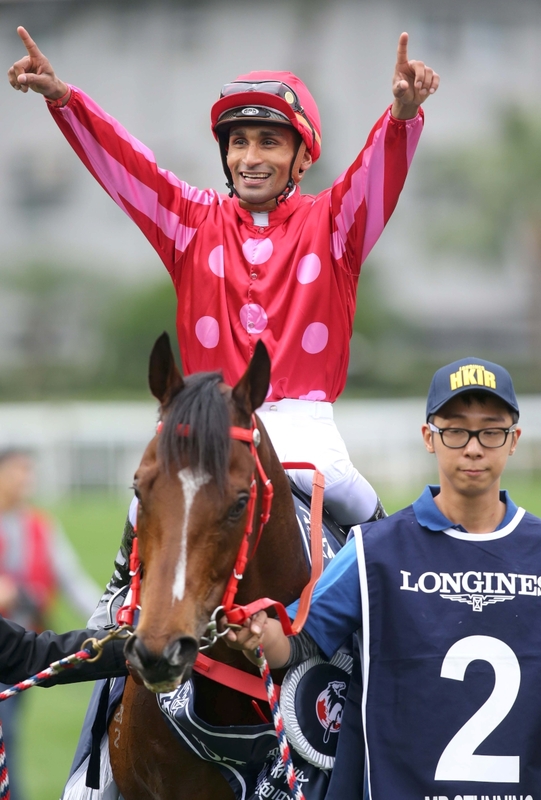 It was also a first Group 1 win in Hong Kong for jockey Karis Teetan who, 12 months earlier, had watched the race from the grandstand and was overwhelmed with his breakthrough at the top level. Mr Stunning was ably handled by the Mauritian jockey, slotted into the stalking trail, but even he conceded the race unfolded perfectly for the defending champion. Mr Stunning, last year, held a neck margin over then stablemate D B Pin. 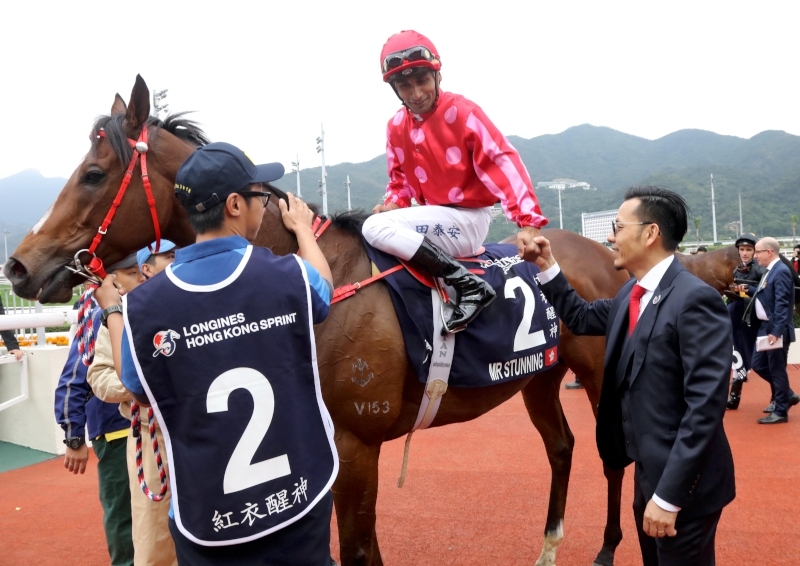 Today, he extended the break to three-quarters of a length in Hong Kong’s premier sprint race to provide Lor with his first ‘major’ in his second season of training. Mr Stunning and D B Pin run first and second again in the Hong Kong Sprint. Size had both the minor placegetters with Beat The Clock beaten a length and a quarter into third place which maintained his remarkable record of having finished top three at each of his 17 starts. The lowest rated runner Little Giant indicated that he belongs at the top level with his length and three quarters fourth while Singapore’s Lim’s Cruiser fared best of the visitors in seventh. Teetan and trainer Frankie Lor celebrate their maiden success at the HKIR. The race was delayed five minutes after Pingwu Spark, who could not be loaded into the starting gates, was scratched. Mr Stunning and D B Pin were two of the last horses to be loaded but fleet-footed from the start and emphatic at the end.